Mobile AL Nursing Home Abuse Lawyer | Lattof & Lattof, P.C. It is never an easy decision to place an elderly relative in a nursing home. Sons and daughters of ailing parents often take comfort in the fact that their loved one will have around-the-clock care, and that their relatives can merely pick up the phone if they need anything at all. However, some residents begin to decline, suffering failing health, becoming withdrawn, or even shutting down after being placed in a nursing home. When the change comes on this suddenly, many relatives are forced to wonder: is their loved one ill, or are they suffering from abuse? Unfortunately, recent statistics show that almost one (1) out of ten (10) of these will experience some form of elder abuse often leading to injury and death due to negligence or intentional activities by staff and others in nursing homes during their lifetime. These elderly residents are some of the most vulnerable and helpless individuals in our society and desperately need someone to protect them and to stand up for their rights. The attorneys at Lattof & Lattof believe in protecting the rights of all Alabama residents, including those who have been injured as a result of facilities who should have cared for them. 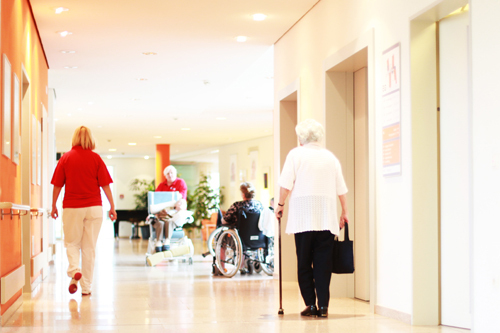 Nursing homes have to adhere to strict regulations and pass numerous inspections in order to protect residents from harm, and facilities that seem great “on paper” can fall short of these standards due to negligence or to retain profits. When this happens, we fight for your loved one’s rights, getting justice and compensation for your family. Falls. Some nursing homes simply do not have enough staff members to adequately care for a large number of residents. Caretakers may see residents only once or twice per day, leading to slips, falls, or other preventable injuries that occur when a patient is left alone. Malnutrition and dehydration. Understaffed facilities may fail to provide residents with enough food or water, or may use meals as a means of controlling the residents. Bedsores. Pressure sores, also known as bedsores, are ulcerations on the skin due to a lack of movement in a body part. These injuries often result from lack of clean clothes or fresh bed linens, and may easily become infected if they are not treated promptly. Medication errors. Many nursing homes rely on untrained caregivers who do not have experience taking care of elderly residents. Staff members may give too much or too little medication to residents, steal medications for their own use, or use sedative drugs to keep residents docile or asleep for long periods. Physical abuse. Physical abuse is often a result of negligence, such as use of restraints for long periods or a caretaker using too much force on a weaker resident. In many cases, abuse is intentional, and may be a form of control or punishment. Common signs of physical abuse include unexplained injuries, bleeding, bruises, or change in a resident’s behavior. Unsanitary or unclean living conditions – bedrooms, floors, bathrooms, toilets, failure to properly bathe resident, dirty clothes, roaches, rats, bed bugs, lice, soiled bedding, etc. Psychological abuse. Staff members may exert control over residents through verbal or nonverbal acts, including harassment, humiliation, bullying, or threats. Other forms of emotional abuse are refusing to speak to residents, refusing to let residents engage in social activities or receive guests, putting the resident in a permanent state of anxiety. Theft. Many residents rely on caretakers to run errands or do some shopping, making them common targets for theft and financial abuse. Staff members may steal from resident’s funds or personal belongings or may lie to residents in order to extort money from them. Gaining improper access to financial matters, credit cards, bank accounts, cash, etc. After a loved one has suffered abuse in a nursing home, it may be difficult to get him or her to open up about the experience. Your relative may feel ashamed of the incident, may have been threatened not to tell anyone, or may suffer from a condition such as dementia that makes it difficult for him or her to tell you what has happened. Unfortunately, some residents may succumb to their injuries, making it even more painful for families to gather evidence from the nursing home responsible for the death. If such is the case, you should absolutely speak to a nursing home abuse lawyer immediately. For over 65 years, the attorneys at Lattof & Lattof, P.C. have been helping victims of negligence and abuse protect their rights and obtain fair settlements and awards for injuries and for the deaths of their loved ones. We will work hard as your family’s advocate to protect the rights of nursing home abuse victims and to obtain full recompense for injuries and losses from those responsible for such abuse. If someone you love has suffered a sudden decline or died as a result of mistreatment in a nursing home, we can perform an investigation into the facility and the circumstances surrounding your loved one’s suffering to find out what really happened. We charge no fees unless we make a recovery in your case, so it will cost you nothing to find out your options. Simply fill out the quick contact form on this page to schedule your free consultation.